Qualcomm’s officially released more details about its flagship Snapdragon 835 processor at CES 2017 after announcing the SoC back in November this year. The chipset had generated a lot of interest given its status as a Samsung co-production that involved using the latter’s 10nm FinFET process technology. 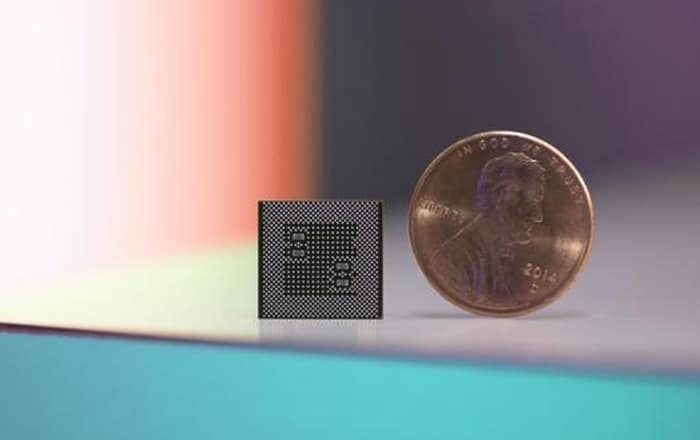 The 10nm FinFET design makes the Snapdragon 835 about 35% smaller than the Snapdragon 820, allowing manufacturers to craft thinner products than before. The chipset also guzzles up 25% less power, translating to more than a day’s worth of talk time and 7 hours of 4K video streaming. Meanwhile, Quick Charge 4 ensures that 5 hours of talk time are delivered after just 5 minutes of charging. Qualcomm’s Symphony System Manager further makes sure the Adreno 540 GPU, Kryo 280 CPU, and Hexagon 682 DSP are optimized for superior thermals and longer battery life. Qualcomm’s also embracing AR and VR for mobile devices in a big way with its latest SoC. It now promises 25% faster 3D graphic rendering, 60 times more display colors, 3D positional audio support, 20% reduction in motion-to-photon latency, native DSD format support, and six-degrees-of-freedom for highly intuitive motion tracking. The chipset markedly supports Google’s Daydream VR platform. Photography also gets a big boost in the Snapdragon 835 processor. It now features better zoom and stabilization for both photos and videos, notably using its newest EIS 3.0 video stabilization software to ensure 4K videos are smooth. Other big changes include enhanced autofocus via support for Dual Photodiode (2PD) and updates to its hybrid auto-focus framework. Coming to its connectivity capabilities, it features a Snapdragon X16 Gigabit LTE modem and supports the 802.11ad multi-gigabit standard. The first offers peak download speeds which are 10 times faster than first-generation 4G devices and the latter commands a maximum speed of 4.6Gbps, alongside low latency and 5x lower power per bit performance compared to 11ac. Moreover, the Snapdragon 835 stands out as the world’s first solution to come with Bluetooth 5.0 support. Qualcomm’s also introduced a number of machine learning innovations such as object recognition for improved images, voice recognition for low-power AI assistants, and real-time hand-tracking for VR. The first announced devices to utilize Snapdragon 835 are ODG’s R-8 and R-9 AR/VR smart glasses. The two will be available in the second half of the year.